If only the title of this post had proven true. 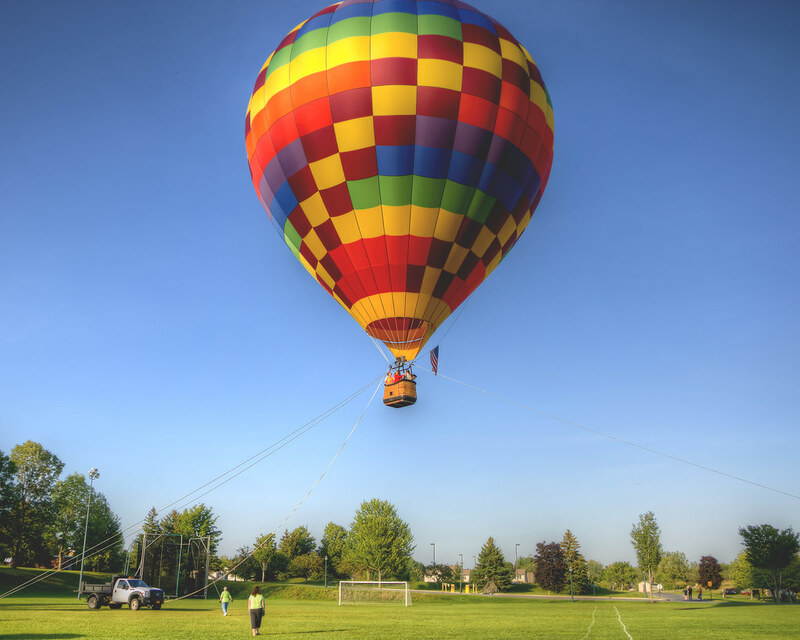 On a warm September day, I was ready to soar over the North Country aboard a hot air balloon! Going up a few stories and returning to earth was charming in its own way (and other people needed their turn), but I had been expecting so much more. These balloon have such wonderful colors.